Debt relief services like these will promise you the moon and the stars, but many of them don’t deliver on their promises—and some are an outright scam. Reputable debt relief services should look at your complete financial situation with you. They should help you learn money management skills and how to budget. They should also advise you on whether or not debt consolidation or debt settlement is appropriate for you. 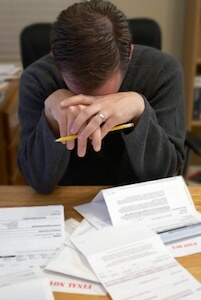 It is especially important that they advise you of the risks associated with certain types of debt relief. Unfortunately, there are many disreputable companies out there, which is why it’s important for you to do your homework and make sure that the debt relief company that you’re trusting with your money is, in fact, trustworthy. You can also find a list of approved agencies by searching for Washington state on the U.S. Department of Justice website. If you’re not sure how to get relief from debt, contact a credit counseling agency or an experienced Washington State bankruptcy attorney. Most bankruptcy lawyers, including the ones at the Law Offices of Jason S. Newcombe, offer a free consultation, during which you can talk about your options for debt relief.